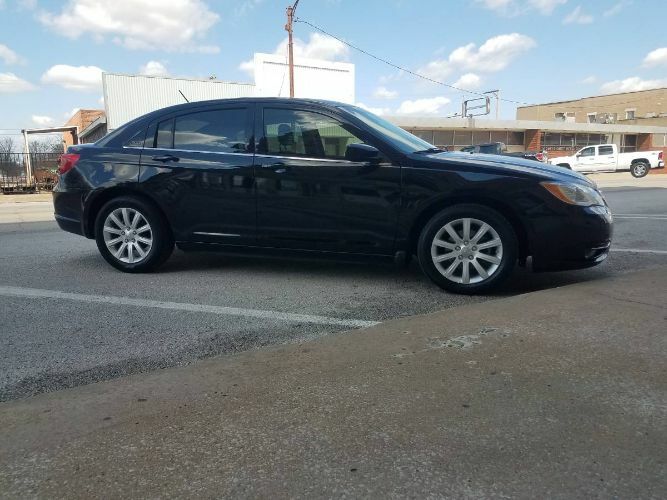 2014 Chrysler 200 with the VVT V6 engine and 102,000 miles. automatic transmission, no leaks, no warning lights, new wheel bearings, good brakes, tight steering and suspension, no clunks or rattles or signs of problems. The interior is two tone black and tan, in great shape with power windows, locks, mirrors, and driver seat, nice CD sound system with steering wheel audio controls. This is comfortable to drive with plenty of power and clean inside. Outside the paint is in great shape, has the premium wheels, and professionally tinted windows. This is a good looking car, in great shape, with a clean/clear title, that is ready to drive.